5.0 out of 5 starsHot hot hot! I have been a fan of Elizabeth's since The Contract. There is just something about the way she writes that is hot, hot, hot. 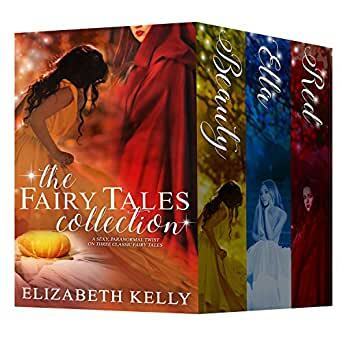 This is fun take on the fairytales Beauty and the Beast, Cinderella, and Little Red Riding Hood. I recommend. Maybe don't read in public. Three sizzling stories you don't want to miss. Elizabeth Kelly's paranormal perspective was fun to watch unfold. Not your daughter's fairy-tales.